Hi. I'm trying to use multiple cursors, selecting successive instances with `ctrl-G`, but it isn't working for me. Am I doing something wrong or is it an issue? 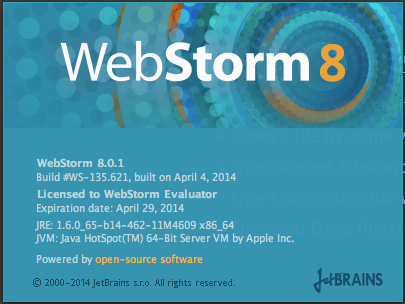 What's your exact version of WebStorm and of your OS/JDK? Can you please provide me idea.log (Help | Show log)? Ok, I attached it to this. Please remove this plugin and see if issue still remains: Key promoter (1.0.11). Ok, I removed the Key Promotor plug-in and restarted WebStorm. The issue is still there. Please try to start IDE with the defaults by deleting/renaming setting folder (.WebIde70) https://intellij-support.jetbrains.com/entries/23358108. If issue remains, send me renewed idea.log (restart IDE, then reproduce the issue, then copy the log). There is no .WebIde70 dir, but I do have WebStorm7 and WebStorm8 dirs. I deleted those and restarted. Issue still remains. Log attached.